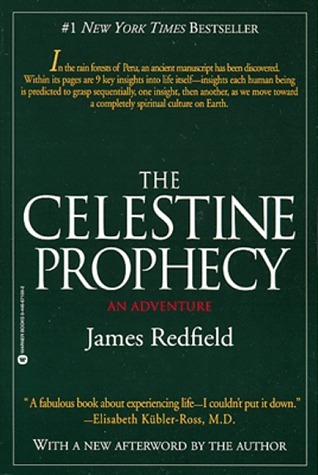 The following is a summary of the occult revelations given to New Age guru James Redfield, and transmitted into his popular book The Celestine Prophecy (1993). The summary bullet points below are from a New Age blog. I recently saw someone with this book, and I was alarmed in my spirit; on Amazon.com, the book has over 1,000 reviews; I believe this is a popular book that promotes modern-day witchcraft and needs to be severely rebuked from an Evangelical Christian viewpoint. I wish I could read the whole book and carefully refute more claims as I go; but I will have to be content with refuting the “Ten Insights” for now. In this book, Redfield tells the story of a man named John who has a psychic awakening to occult and New Age spiritual experiences. He experiences demonic coincidences (omens, auguries, synchronicity), and other counterfeit demonic revelations. As a Pentecostal/Charismatic Christian, it is important that I state clearly how I support Christians experiencing dreams, visions, voices, impressions, and coincidences (signs from God). But in order to be interpreted or spiritually discerned as divine, the experiences must have a holy character and line up with the law of God and the Gospel of Jesus Christ (Isaiah 8:19-20; 1 John 4). If the experiences teach other things, such as New Age/occult doctrines–then they are demonic–specifically from a spirit of divination (Acts 16:16, NASB). Redfield writes the book as a “fictional” story, but he does not really consider it to be fiction. He sees it as a way of conveying real-life psychic experiences in the form of a story. In the story, John has psychic experiences that lead him down to Peru; when he goes there he reads an ancient occultic writing with “Ten Insights” written on them (note: just like the devil to counterfeit the Ten Commandments!–a liar from the beginning, the devil is the father of all lies–John 8:44, NIV). The Catholic Church and the Peruvian government understand that these are demonic, evil revelations and need to be guarded against. However, in the book Redfield makes church and state the enemy, and pluralistic occultism the truth! Oh no! :–that is an antichrist spirit! : “Who is the liar? It is the man who denies that Jesus is the Christ. Such a man is the antichrist – he denies the Father and the Son” (1 John 2:22); “Every spirit that does not acknowledge Jesus is not from God. This is the spirit of the antichrist, which you have heard is coming and even now is already in the world” (1 John 4:3); “Many deceivers, who do not acknowledge Jesus Christ as coming in the flesh, have gone out into the world. Any such person is the deceiver and the antichrist” (2 John 1:7). So, from the very beginning, with a clear conscience before God, let me state that Redfield is an “antichrist”–not THE ANTICHRIST of Revelation 13, but “an antichrist”: because he rejects the Gospel: that salvation is by Christ alone through repentance from sin and faith in the cross for the forgiveness of sins; Redfield rejects the Christian faith, and instead preaches a psychic spirituality rooted in religious pluralism. This is a very deceptive book; it leads men away from Scripture (the Holy Bible)–with its moral law and salvation by faith in the Gospel (the Book of Romans, chapters 3-8); and brings them into a deceiving, demonic spirit world of occultism, witchcraft, psychicism, and visions which point to anti-Scriptural concepts (the Ten Insights). I truly believe this book is demonically inspired. It gets men to trust in “the supernatural” without allowing them to define good and evil; to abandon the moral absolutes of the law of God, and bring them into a “religious tolerance” and relativism; and worse still, it gets them to reject the core tenet of the Gospel, that salvation from sin, death, and Hell is only available by faith in Jesus Christ, who said, “I am the Way and the Truth and the Life. No one comes to the Father except through Me” (John 14:6). To reject Jesus’ words is to become an unbeliever, an apostate, and open yourself up to the gate of Hell! This book is demonic and deceptive and ungodly, because it turns men away from the Gospel and towards demonic psychic experiences, which eventually means breaking the law of God, not living a righteous and holy life, and breaking the Ten Commandments, which are the TRUE TEN INSIGHTS given to Moses by God on Mount Sinai. The first of which is: “YOU SHALL HAVE NO OTHER GODS BEFORE ME!” (Exod. 20:3). To break this commandment is unbelief and rebellion against the Lord God Almighty; it will issue forth in wrath and judgment on an individual. But what is Redfield? He is an anti-Christian, false prophet, antichrist, rebellious, psychic, modern-day teacher of pluralistic witchcraft. “When men tell you to consult mediums and spiritists, who whisper and mutter, should not a people inquire of their God?” (Isaiah 8:19). May God save him through the Gospel of Jesus! “REBELLION is as THE SIN OF WITCHCRAFT, and stubbornness is as iniquity and idolatry. Because you have rejected the word of the Lord, He also has rejected you” (1 Samuel 15:23). 1. We are discovering again that we live in a deeply mysterious world, full of sudden coincidences and synchronistic encounters that seemed destined. I REPLY: So we have started out with a half-truth; a statement that is partially true and partially false. It is true that the world has an element of mystery to it; that God has hidden a great many things from mankind to discover later in the future. But to God nothing is a mystery: “The king asked Daniel (also called Belteshazzar), ‘Are you able to tell me what I saw in my dream and interpret it?’ Daniel replied, ‘No wise man, enchanter, magician or diviner can explain to the king the mystery he has asked about, but there is a God in Heaven who reveals mysteries” (Daniel 2:26-28). That our world is “full of sudden coincidences” is also true, as can be proved by personal experiences of meeting people from far away places, who you know through someone else (“It’s a small world”). But in the Bible, Genesis 24, for example, these are called “signs from God” when they are seen as messages from the Lord, the God of Scripture, the God of the Ten Commandments, the Father of the Holy Trinity, the God of the Gospel. 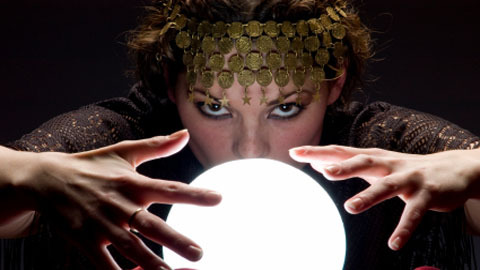 But the tricky thing about coincidences, is that they can sometimes be demonic–and so the New Agers and anti-Christian Gospel rejecting psychics also experience “magical” coincidences (omens and auguries) which point to transcendental realities, yet ultimately reveal anti-Biblical revelations and spiritual teachings from demons. The “doctrines of demons” (1 Timothy 4:1). In order not to be deceived by the “doctrines of demons,” it is necessary to study the Bible, and get a sense of what “sound doctrine” is; or, the “doctrine according to godliness” (1 Timothy 1:10; 6:3). Let me give you a nudge in the right direction: any spiritual experience that contradicts Reformed theology, Puritan theology, Wesleyan Arminian theology, or just orthodox Christian theology (Evangelical)–especially in matters of justification and sanctification–is a “doctrine of demons.” Avoid the word “synchronistic” (that comes from Carl Jung, an occultic psychologist.) On the subject of “seem destined”–the Reformed/Puritans would be more open to a “fate” viewpoint of coincidences (if they are open to experience of the supernatural); the Wesleyan Arminians (that’s me) would oppose any destiny concepts, or notions of fate, believing that freedom of choice is always possible to a certain degree. So far, there is nothing basically wrong with the concept of experiencing coincidences; but you simply cannot be theologically neutral about such an experience, because it is rooted in the supernatural (God, angels, and demons). Biblical, Christian, Christ-centered, Gospel-based spiritual discernment is absolutely necessary when experiencing and responding to a coincidence. 2. As more of us awaken to this mystery, we will create a completely new worldview–redefining the universe as energetic and sacred. I REPLY: Now we’ve come to an actual “doctrine of demons” (1 Timothy 4:1). Scripture does not allow Christians to believe that “the universe is energetic and sacred”–this is a demonic teaching. This belief is called Monism, which comes out of Hinduism mainly, and is the teaching that the world is not God’s creation, but that it simply has always existed. Moreover, it declares that the Earth, the stars, and the universe are to be worshiped! Mother Earth worship, astrology (star worship, horoscopes), etc. Nature worship, pantheism, monism–the demonic doctrine that the world is divine–it is “god”. In a very subtle way, the concept of “the Force” in the Star Wars movies pushes this teaching. THE EARTH IS NOT SACRED! It is defiled by sin, corruption, and wickedness of all sorts; it is plagued by sickness, killers, and haunted by demons; all the fallen angels live here and within it in Hell. We need government and police just to keep some level of order on Earth. Only GOD IS SACRED and HEAVEN IS SACRED; only certain places on Earth, where godly people live and worship may be called sacred. Everything else is defiled by sin (Romans 8:19). Particularly, the Earth is under the curse of God, because of the sin of Adam and Eve: “Cursed is the ground because of you…it will produce thorns and thistles for you” (Genesis 3:17-18). 3. We will discover that everything around us, all matter, consists of and stems from divine energy that we are beginning to see and understand. I REPLY: The is the New Age version of “the Holy Spirit”–they call it the “divine energy of the universe.” Anyone who has experienced the REAL Holy Spirit knows that His power may be “electric,” even “energetic” (when “the power of our Lord Jesus is present”–1 Corinthians 5:4). But the REAL Holy Spirit points us to JESUS and the TRINITY–the three-in-one God. Jesus said, “When He, the Spirit of Truth, comes, He will guide you into all truth. He will not speak on His own; He will speak only what He hears, and He will tell you what is yet to come. He will bring glory to Me by taking from what is Mine and making it known to you. All that belongs to the Father is Mine. That is why I said the Spirit will take from what is Mine and make it known to you” (John 16:13-15). God’s Spirit glorifies Jesus as one with the Father; it does not point people to idolize the world in which they live. I REPLY: This is silly. Arguments, fights, and human conflict are not caused by people out of touch with “Mother Nature.” That has literally nothing to do with anything; nor is it a subject even related to how humans interact between one another. 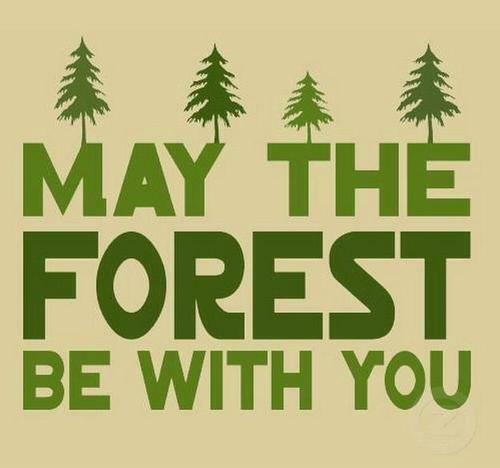 If I am a treehugger, great. I like trees. But that subject has nothing to do with how I relate to other humans or how other humans relate to me. “Dominating each other” is the essence of fighting; trying to win an argument, trying to win a war, a fight. Fighting takes “energy” for sure; you cannot do it without it. But the cause of war is not because everyone is not an environmentalist treehugger. Scripture says, “What causes fights and quarrels among you? Don’t they come from your desires that battle within you? You want something but don’t get it. You kill and covet, but you cannot have what you want. You quarrel and fight. You do not have, because you do not ask God. When you ask, you do not receive, because you ask with wrong motives, that you may spend what you get on your pleasures” (James 4:1-3). This has nothing to do with how I feel about trees or the ocean. Fighting is caused by covetousness or greed–breaking the tenth commandment: “You shall not covet your neighbor’s house. You shall not covet your neighbor’s wife, or his manservant or maidservant, his ox or donkey, or anything that belongs to your neighbor” (Exodus 20:17). 5. The only solution is to cultivate a personal reconnection with the divine, a mystical transformation that fills us with unlimited energy and love, extends our perception of beauty, and lifts us into Higher Self Awareness. I REPLY: Jesus came that we might have a “personal reconnection with the divine.” He said, “This is eternal life: that they may know You, the only true God, and Jesus Christ, whom You have sent” (John 17:3). But this is a personal reconnection that comes only by faith in Jesus Christ, and a relationship with both the Father and the Holy Spirit. After we repent or turn away from our sins, and believe in Jesus’ sacrifice on the cross for our sins, then we regenerate by the power of the Spirit, in that we experience a “mystical transformation that fills us with” the “unlimited energy and love” of God (Romans 5:5). However, this is totally different from what Redfield is talking about. He is not talking about the Trinity or the God of the Bible when he refers to “the divine”–he is referring to the World Soul–the “Force” of Star Wars–the universe; the Earth goddess that he worships. And, this is blasphemy and idolatry. “Our perception of beauty” being “extended”: what he means here is a spiritual-psychological-demonic ecstasy in the worship of the natural world. Earth worship. Environmentalism ecstasy. Green peace. Save the whales. Worship the whales? Ehh. “Higher Self Awareness”, to Redfield, is an awareness that one is all and all is one; and that everything is connected to everything. My soul is the earth; and the universe is me; and I’m the same as this person and that person. Totally insane! Jesus came that we might have a higher awareness of His Father by the Holy Spirit–I like that option much better. John the Baptist said, “He must increase, but I must decrease” (John 3:30). Christians should have a Higher Jesus Awareness, and a lower self awareness! now man souls, and eventually…yes you guessed it…ALIEN SOULS! Its only a matter of time, they say. Only a matter of time, and we’ll all be aliens flying in outer space in saucers! What ridiculous nonsense, from a Biblical viewpoint! The Bible says clearly: “God said, ‘Let us make man in our image, in our likeness, and let them rule over the fish of the sea and the birds of the air, over the livestock, over all the earth, and over all the creatures that move along the ground.’ So God created man in His own image, in the image of God He created him; male and female He created them” (Genesis 1:26-27). It says plainly that God created man to “rule over the fish of the sea and the birds of the air, over the livestock…over all the creatures that move along the ground.” This would include monkeys as well. This totally contradicts evolution which says that man CAME FROM monkeys. No we did not! That is silly! Man come from God! We were created directly by God on the sixth day of creation: “God saw all that He had made, and it was very good. And there was evening, and there was morning–the sixth day” (Genesis 1:31). Monkeys are not our distant relatives, our ancestors from millions of years ago; they are “creatures that move along the ground” that God has given man the responsibility of ruling over. This has always been the case from the time of Adam and Eve in the Garden of Eden: “The Lord God had formed out of the ground all the beasts of the field (including monkeys) and all the birds of the air. He brought them to the man to see what he would name them (including monkeys); and whatever the man called each living creature, that was its name (including the name “monkey”). So the man gave names to all the livestock, the birds of the air and all the beasts of the field” (Genesis 2:19-20). Mankind is not evolving; we are definitely growing in knowledge and the ability to create more complex machines, like computers, and robots, and various advanced medicines–but we ourselves are NOT evolving into different kinds of creatures like aliens from Mars. 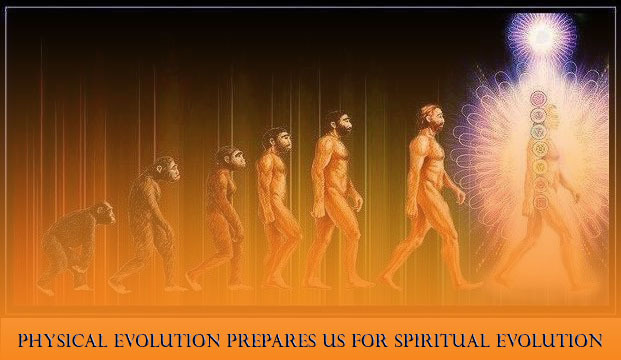 We can spiritually grow through prayer, contemplation of Christ, Bible study, obedience to the Word of God, and prophetic revelation from the Holy Spirit by faith in Christ–but our souls will NEVER evolve into anything else than human souls. 7. In pursuit of this mission, we can discover an inner intuition that shows us where to go and what to do, and if we make only positive interpretations, brings a flow of coincidences that opens the doors for our mission to unfold. I REPLY: I agree every man has an “inner intuition that shows us where to go and what to do”–its called our spirit (1 Thessalonians 5:23). But for a form of guidance outside of ourselves, we need the help of the Holy Spirit to guide us by faith in Christ. The New Ager, however, who accepts Redfield’s Hinduistic philosophy of Monism, will be guided more likely by a spirit of divination–a demon–and not the Holy Spirit (Acts 16:16). The Christian, however, has the guidance of the Holy Spirit: “As for you, the anointing you received from Him remains in you, and you do not need anyone to teach you. But as His anointing teaches you about all things and as that anointing is real, not counterfeit – just as it has taught you, remain in Him” (1 John 2:27). What he means by making “only positive interpretations” is anyone’s guess, since he has not provided an absolute unchanging law or standard by which to test a positive from a negative interpretation. But the issue in life is not about positive versus negative–its about good versus evil–Jesus versus the devil. We must choose Jesus and His ways above all other interpretations of reality: “Anyone who runs ahead and does not continue in the teaching of Christ does not have God; whoever continues in the teaching has both the Father and the Son” (2 John 1:9). If we follow Jesus, and are open to experiences of the Holy Spirit, or divine revelations, we too will have a “flow of coincidences that opens the doors for our mission to unfold” for the Gospel of Jesus Christ! They are called signs from God. The question is, which coincidences are you following–those from Jesus or those from the devil? I REPLY: My response to this would be the same as my response to the “Sixth Insight.” Only this one adds a twist: the false counterfeit doctrine of New Age love, tolerance, random acts of kindness, and humanistic pluralistic coexistence between all religions. But its not based on truth! It rejects the Gospel! It is a lie! The Word of God says: “This is the love of God, that we keep His commandments. And His commandments are not burdensome” (1 John 5:3, NKJV). God’s love is holy and righteous and obeys the holy commandments of Scripture. I REPLY: My response to this would be the same as my response to the “Sixth Insight.” Only here we have a mention of a “heaven”–but there is no way this is the Heaven of Scripture; nor is this the Heaven of the Gospel of Jesus Christ. This is a pagan heaven that does not exist; and is the devil’s carrot for the New Age psychic that he is holding out for them, so they go through their lives rejecting the Gospel, disobeying God’s law, and go to Hell in the end. “There is a way that seems right to a man, but in the end it leads to death” (Proverbs 14:12). 10. The Tenth Insight (this is from another book from Redfield by the same title) is the realization that throughout history human beings have been unconsciously struggling to implement this lived spirituality on Earth. Each of us comes here on assignment, and as we pull this understanding into consciousness, we can remember a fuller birth vision of what we wanted to accomplish with our lives. Further we can remember a common world vision of how we will all work together to create a new spiritual culture. We know that our challenge is to hold this vision with intention and prayer everyday. I REPLY: This is an appeal to religious pluralism, universalism, and syncretism. It is the idea that because Monism is true (everything is connected to the same divine substance)–that there is no Creator and no creatures; but that “I am god, you are god, the trees are god, the stars are god, the earth is god, the ocean is god, etc, etc.”–that all religions are just imperfect human articulations of the same thing. But this is totally against the Gospel of Jesus Christ. “Repent, and believe in the Gospel!” (Mark 1:15, NASB). Turn away from your sin of idolatry and pagan religion! God says, “You shall have no other gods before Me. You shall not make for yourself an idol in the form of anything in heaven above or on the earth beneath or in the waters below. You shall not bow down to them or worship them; for I, the Lord your God, am a jealous God, punishing the children for the sin of the fathers to the third and fourth generation of those who hate Me, but showing love to a thousand generations of those who love Me and keep My commandments” (Exodus 20:3-6). Jehovah, the God of the Bible, the one true God–the God I love and who’s commandments I try to keep in my life–He is VERY INTOLERANT of pagan religions. And so am I! Away with them all! However, this does not mean God is unloving. No, not at all. God loves everyone: “God so loved the world that He gave His one and only Son, that whoever believes in Him shall not perish but have eternal life. For God did not send His Son into the world to condemn the world, but to save the world through Him. Whoever believes in Him is not condemned, but whoever does not believe stands condemned already because he has not believed in the name of God’s one and only Son” (John 3:16-18). “God is love” (1 John 4:8). However is God is holy, and he demands that we express our love to Him by keeping His commandments (Exodus 20:6). Redfield, on the other hand, would have you to break God’s commandments by leading you into idolatry and false religion. Further, Redfield would have you to hate the true God–Jehovah of the Holy Bible. Put your faith in Jesus and keep His Word, and He will take you home to the REAL Heaven! I liked your post, thank you for writing it. Well, I saw that Amazon Prime (like Netflix) was showing the movie based on this book. Ive not read it, i haven’t seen the movie, nor shall I. I knew from the simple synopsis, and Id heard of it but not recently, that it was of new age and Eastern mysticism, a denial of the Lord God, and instead a synchronism of religions which is becoming mainstream talk. As you say, they say the Universe speaks to them, they are all one spirit; this is nothing new at all, its paganism and polytheism and sun and star worship, which is demon and devil worship. 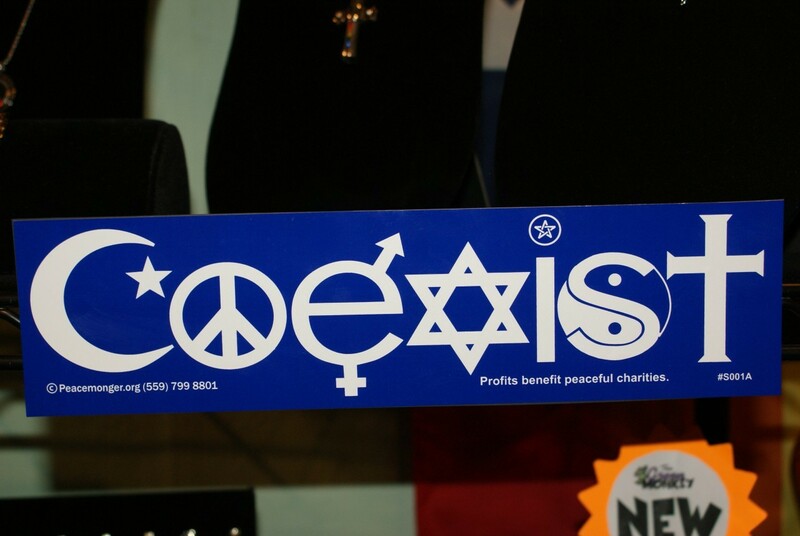 It is everything of all religions rolled together, except it is not of the one true God. It is interesting to me that the author knocks Roman Catholicism, because even the pope talks these days of environmentalism, open borders (not the vatican but every other nation of course), tolerance and diversity, big buzz words in the most liberal circles, in universities and business agreeing to many sins, and linking up with other religions, pluralism, and confers with world leaders to build a sustainable and peaceful and secure world – which seems like a good way to them, but is deception. Jesus will do that upon his return, make the world His. But they cannot. I think the author knows the RCC isnt against the new age, but it’s to further distract those who are in it, the idolotry and pagan traditions within their midst go so unnoticed. Dan Brown’s books and movies did likewise, that the new age “truth” is suppressed by the Catholic Church. But I think its rather part of it. Look at the Ramses II obelisk in St Peter’s Sq, which is a giant sun dial. How could Christians tolerate that abomination? Lot of things there that dont have Christian origins, but are older pagan things and symbols. A little research goes a long way, a lot of people simply don’t inquire at all. God bless you! I hope your information here reaches someone and turns them away from the new age garbage that’s spreading around. You poor souls are really lost, aren’t you? Especially because you think you’ve found all the answers. I pity you, but that won’t help very much. The answers are found in the Gospel of Jesus Christ my friend. No need to pity me! I know the way to Heaven. But that is something you’ll have to ask God about for yourself. That is something the Holy Spirit will have to show your spirit. He is the truth revealer.